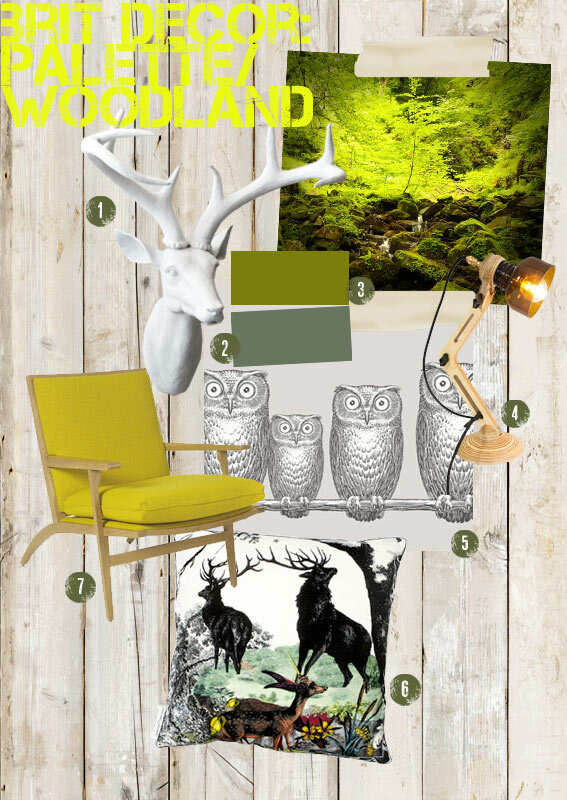 Earthy greens are set to trend on many of our interior store's palettes this AW13. Think British woodland, luscious leafy greens, country walks and, of course, think of the amazing variety of wildlife. Just writing about this setting makes me feel very tranquil - green tones have long been known to have a calming effect, quite possibly because they subconsciously take us back to nature? Whatever the psychology behind this colour, it works for me! I have selected some of my top picks inline with the green woodland palette (above) to give you a head start with your interiors shopping. I am crazy about the Twin Stags graphic print cushion from Heals and the resin Stag Head from Graham & Green!